Democratic Minnesota Rep. Ilhan Omar complained Wednesday after her critics accused her of dual loyalty, calling it a "dangerous incitement." Fox News host Brian Kilmeade and Texas Rep. Dan Crenshaw (R.) were critical of recently resurfaced comments in which Omar was vague when referring to the 9/11 hijackers. "CAIR was founded after 9/11 because they recognized that some people did something, and that all of us were starting to lose access to our civil liberties," she said. "Really? ‘Some people did something?'" Kilmeade asked on Fox & Friends. "You have to wonder if she’s an American first." Crenshaw tweeted that Omar was the "first Member of Congress to ever describe terrorists who killed thousands of Americans on 9/11 as ‘some people who did something.' Unbelievable." In her own tweet, Omar blasted both men. "This is dangerous incitement, given the death threats I face. I hope leaders of both parties will join me in condemning it," she wrote. "My love and commitment to our country and that of my colleagues should never be in question. We are ALL Americans!" 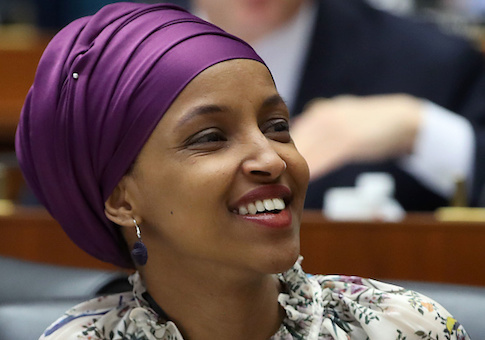 Omar's indictment is ironic given that she has been criticized by Republicans and fellow Democrats alike for suggesting that pro-Israel politicians harbored dual loyalties. "I want to talk about the political influence in this country that says it is OK for people to push for allegiance to a foreign country," she said during a February bookstore appearance. Crenshaw hit back Wednesday afternoon by saying he never accused her of dual loyalty or incited violence but merely said her words were "unbelievable." 3. You described an act of terrorism on American soil that killed thousands of innocent lives as "some people did something." This entry was posted in Politics and tagged Dan Crenshaw, Ilhan Omar. Bookmark the permalink.